As in previous Electronic Arts games that are based on the FrostByte engine, you can also use console commands in Mass Effect Andromeda. You can activate the commands via console, but then they will only be active for the time the game is running. In this guide you will learn how to make your favorite console commands work permanently by creating a config file. If you have all your commands together, you only have to save the file in the Mass Effect Andromeda folder as “user.cfg”. Choose “Save as” in the “File” menu of Notepad. Find the Andromeda folder, it should be located in “C:\Program Files (x86)\Origin Games\Mass Effect Andromeda” unless you have Origin installed somewhere else. 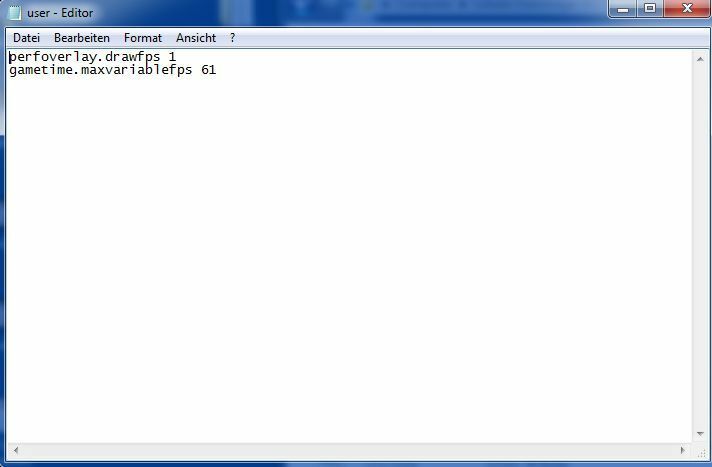 Name the text file “user.cfg” and for “Save as type” you should choose “All Files”. Then click the “Save” button and your config file will be stored in the Mass Effect Andromeda folder. Of course, to disable certain commands again, you just have to remove the line of the command from the text file. If you want to disable all your commands in the config file, you either remove all lines or you simply delete the whole file. However, it’s probably better if you just remove the lines, in case you want to store settings again in the future. I hope this guide helped you to understand how you can make console commands stay permanently active. If you like, you can find more Mass Effect Andromeda articles on my blog. Alternatively and if you are in the mood, check the comment section and drop a comment if you can share additional tricks, or if you want to discuss anything related to the game. Have fun! hi, is there any form to put the resolution on 800 x 600 ? Not that I am aware of. Sorry.